The method is your guide, and it is during your daily practice sessions that learning takes place as you apply the facts to the practical application. Facing a challenge takes courage and focused determination – and this is the attitude you must have with any decision you make in your life no matter how small. You spoke it, and so it will be. Your word is your strength and power in your life. Now all that’s left is to find the way to get it done. The most effective path to any goal is by a methodical system. If you are in business you will understand that systems are critical to operations and reaching targets. Tried and true music methods abound and the best ones follow a ‘precept-upon-precept’ approach, i.e. one small step followed by another small step. For example, the first musical fact you will learn with piano, is the note Middle C. This is roughly in the center of the keyboard. The method will provide instruction on where your hands should be placed and the position of your arm. When you press the key a tone is produced and you will count for a period of time while you sustain the note. This is a small step, easy and straightforward and you are capable of this on your own. You will practice this step every day until you are fluent with the various elements of performing the note Middle C, first with your right hand, then your left, and for different time durations. Only when it is embedded in your mind, will you will be ready for the next step – a new musical fact – always rehearsing the previously learned facts which soon will become rote and not require any thought. Many self-teaching methods promise fast results. They say that you will be playing your favorite songs and pieces in just days or weeks. They do a dreadful disservice to the student and very little of substance is taught. Walls are hit early on and there is no proper foundation of knowledge which allows growth to any level. Monkeys can be taught how to hold instruments and play chords. Let’s be sure our method is teaching more than a few quickly learned tricks. The method will provide you with the opportunity to write your note, Middle C, further cementing the fact and deepening your understanding of the theory of music. J. S. Bach, the world’s greatest musician, regarded his keyboards as laboratories in the study of the science of music. It really does boil down to physics, vibrating air and mathematical perfection. Your method will include not just how to read our modern system of notation, but a good understanding of what music is, and the laws of music. You will more fully appreciate the magical phenomenon of music. On the physical plane, when we play the piano we are engaging our bodies, primarily our fingers pressing and releasing the keys. Our method will include exercises which train the fingers to be strong and flexible. As your musical knowledge increases, your fingers will be prepared to execute the more demanding music. 6. Where Does it End? There is never a point where you have arrived and can say ‘I have learned to play’. From the moment you strike your first key, Middle C, you are playing the piano and you are in motion and progressing. There is always something more than where you are, creativity to tap into, new styles of music to try, and an endless library of music by the world’s great musicians to explore. 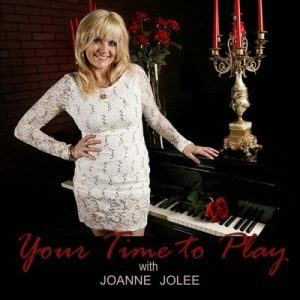 Joanne Jolee received her piano and music theory training through the Trinity College of Music, and Royal School of Music, and studied voice under Dame Sister Mary Leo at Saint Mary’s College in New Zealand. Joanne toured with the band that included an original Turtles band member (Happy Together). In 1998 she formed a classical crossover band with three of her daughters, CJA, and in 2002 the band won the title, Arizona’s Best Pop Band. 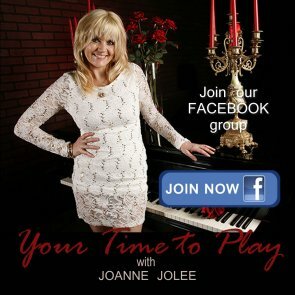 Joanne is the Executive Director of the Jolee-Jaffa Music Foundation, Inc. and a passionate advocate for the power of music to heal and empower children and adults. 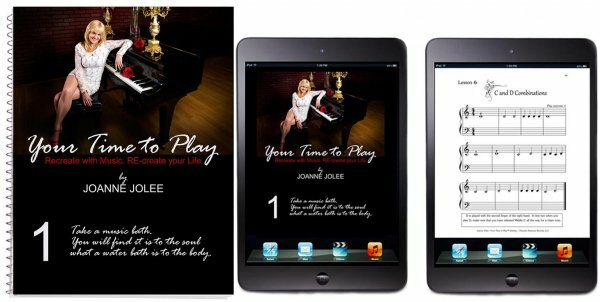 She is the author of the piano method, Your Time to Play, and the creator of the Get Carried Away product line. Joanne lives in Arizona with her husband, has five adult children (all musicians) and 6 grandchildren. She is a lifelong sailor and internationally licensed yacht helmsman.